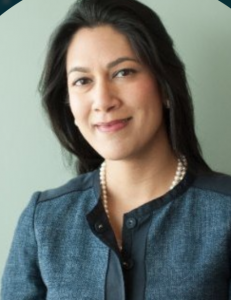 The New York Public Library (NYPL) has named Geetanjali Gupta, a senior vice president at Harvard University’s endowment, as its new CIO to manage the public library’s $1.2 billion in financial assets. Gupta is the second executive to announce their departure from Harvard in recent days. Rich Hall, Harvard Management Company’s (HMC) head of private equity, announced he would leave in early February to become deputy CIO at University of Texas Investment Management Company (UTIMCO). Gupta, whose first day on the job will be Feb. 26, replaces Todd Corbin, who stepped down at the end of February 2017 to become managing director at Summit Rock Advisors, a New York-based investment company. Michael Dardia, vice president for finance and assistant treasurer, helped manage the CIO responsibilities in the interim. Gupta will report to NYPL Chief Operating Officer Iris Weinshall, and will work with the library’s board of trustees’ investment committee. Prior to joining NYPL, Gupta was with the Harvard Management Company (HMC) in Boston for more than 11 years, most recently serving as the head of absolute return and public market funds. At HMC, Gupta helped manage portfolios valued at more than $15 billion across a diverse range of asset classes. Aside from a one-year stint at Goldman Sachs prior to attending graduate school, it will be the first time Gupta has left Harvard since her freshman year as an undergrad in 1996. The CIO search committee was led by Dinakar Singh, the chair of the library’s board of trustees’ investment committee, as well as board of trustees chairman Evan Chesler, trustees Ray McGuire and Tony Yoseloff, and Weinshall. Gupta has a bachelor of arts degree in applied mathematics and economics, as well as master of business administration, and juris doctor degrees from Harvard Business School and Harvard Law School.